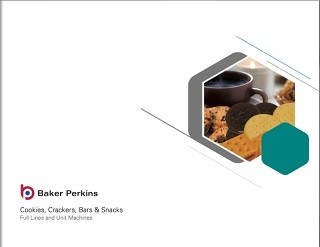 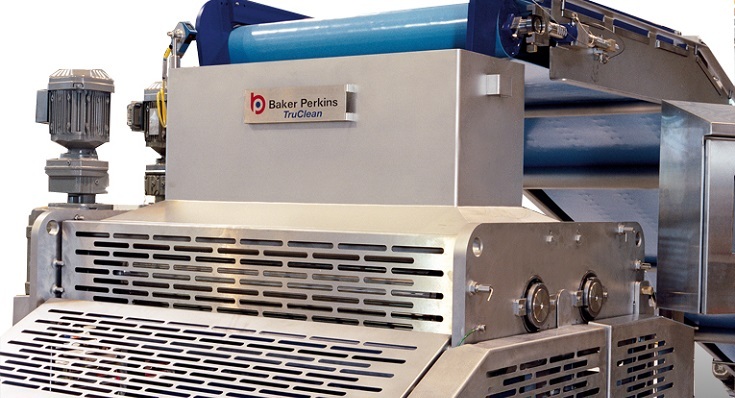 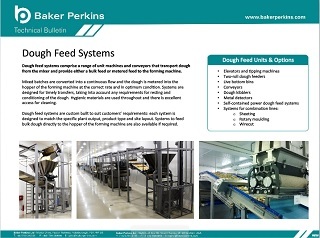 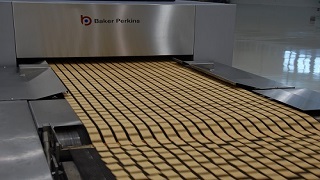 When used in conjunction with a Baker Perkins HS Mixer, the dough is transferred into the Power Dough Feeder without any manual intervention. 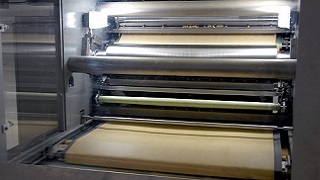 Sensors in the forming machine hopper monitor dough level, enabling the control system to adjust the speed and, if necessary, stop the Power Dough Feeder. 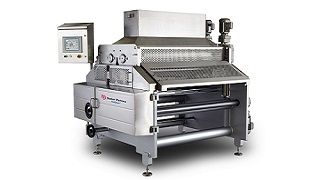 In this way a consistent head of dough is maintained in the hopper which helps to achieve accurate dough piece weight control. 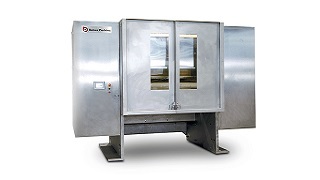 Hygienic materials are used throughout and there is excellent access for cleaning. 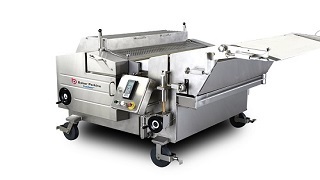 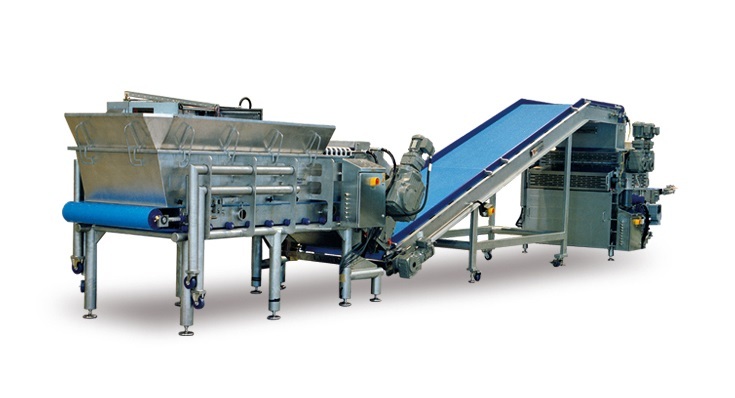 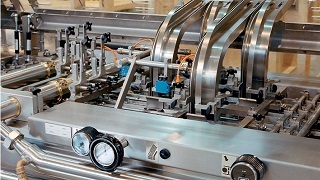 The bottom conveyor can be completely withdrawn from the machine and mounted on its own wheeled frame so that it can be removed from the production area for thorough cleaning. 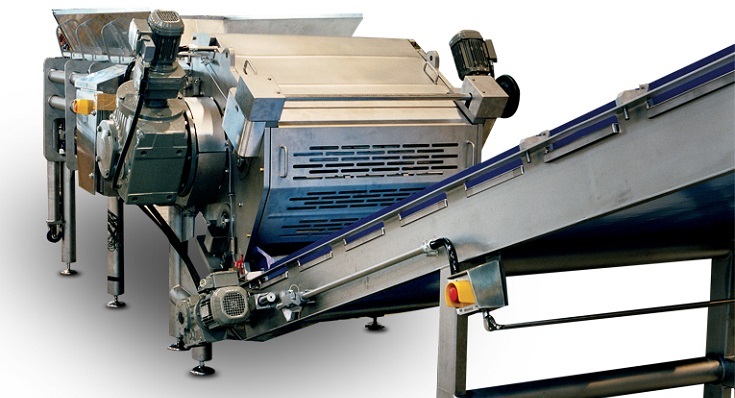 The sides of the hopper can be removed, leaving the frame completely exposed and accessible from both outside and inside.